In Need Of Intern. 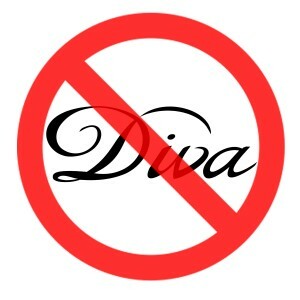 Divas Not Allowed. If you’re viewing this job solely as a one-way ticket to fame, stop reading now. We know what you’re plotting. After watching Intern Jonny’s rapid trajectory from measly intern to international heartthrob, you hope such a fate might befall you, too. Unfortunately, we can’t guarantee an internship at Mortar will land you a spot on The Tonight Show. (We also can’t guarantee that it won’t.) All we’re saying is if you apply to be an intern at Mortar, prepare to be an intern at Mortar. Which means you are flexible, a quick learner, and possess a mind as sharp as a Ginsu knife. You will be asked to wear the administrative hat often and told to move at a pace akin to that of the spotted cheetah. Tasks will be completely owned by the intern, and the right person will know what that means. You will have the opportunity to work on a wide variety of fun projects and witness all the account management, brand strategy, and PR aspects of agency life. You will learn from a fantastic group of talented people who actually like hanging out with each other. 9. Putting together presentations, case studies, etc. Let us know if you have any experience in the following, and mention any special skills you bring to the table (studying really well doesn’t count). Candidates with agency experience will be reviewed first. Extra points for Mac-friendly folk: Keynote, Excel, and Pages. If you’re interested, please send your resume and cover letter to jonathan@mortaragency.com, so he can decide if you’re worthy of replacing him. To learn more about Mortar, poke around on this website and you’ll probably find out more than you wanted to. To share this job post, click on the funny black ‘n white boomerang-looking icon below. where can we send awesome resumes to? where can we send our awesome resumes?